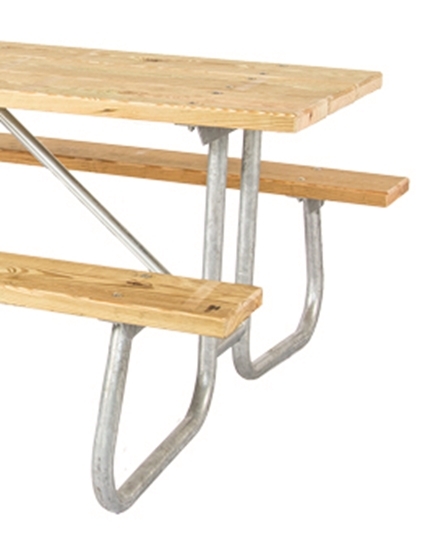 This picnic table frame can be used to make a 6 foot rectangular picnic table with your plank of choice. 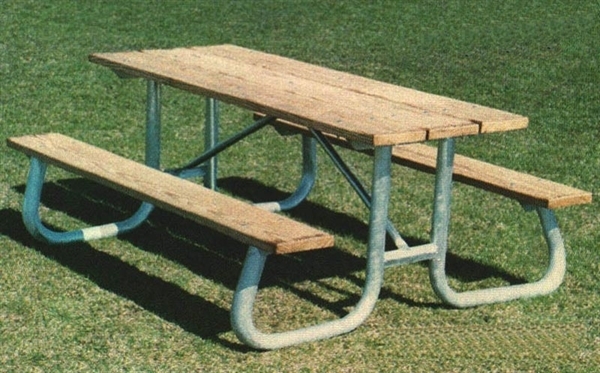 With the heavy duty picnic frame you can make a wooden picnic table, a recycled plastic picnic table, or any other material that you wish. Made of galvanized 1 5/8" O.D. schedule 40 pipe with a center cleat and cross braces to stabilize this commercial grade frame. This is a purchase for a frame set only.